The Pittsburgh Post-Gazette recently reported on a Danish study regarding the increased cardiovascular risks of chronic use of nonsteroidal anti-inflammatory drugs (NSAIDs). That ibuprofen you’re popping for your headache or muscle ache might increase your chance of heart problems including heart attack or stroke. This isn’t news by the way. NSAIDs have been known to have this risk for some time. What is concerning is the article goes on to discuss the option of adding NSAIDs to the growing list of substances that are prescription only. The justifications for such a change include had it been known NSAIDs carried this risk they would’ve been treated this way from the start and that people are uneducated and/or ignoring the warnings on the label in favor of obtaining quick pain relief. The study, and the experts consulted in the article, agree that healthy people who take NSAIDs in doses “as intended” short term encounter little to no cardiovascular risk. People with heart disease, kidney disease, or diabetes might want to avoid NSAIDs entirely or consult with their doctor prior to their use. The FDA has a box warning that they instituted in 2005 and enhanced to stronger language in 2015 regarding the risks of NSAID use. The FDA points out any use can carry risk and longer and/or heavier use carries greater risk. 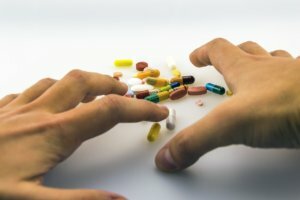 Yet the article discusses adding greater warnings to packaging or making NSAIDs available by prescription only because, in the opinion of some experts, the public thinks NSAIDs are safe and once they buy ibuprofen, or another NSAID, they could use it any way they wish with no restrictions. Isn’t this true of almost any over the counter substance? What are we really advocating here- public safety or a nanny state where our every decision is regulated by the government intervention on some level? Can’t we be trusted to make a reasonable decision to medicate with over the counter substances and applying knowledge of our personal medical history, perhaps augmented by a discussion with our health care provider on what use is acceptable with our individual chemistry? We have the warning labels on the box to provide the criteria of appropriate use. When did our ability to reason and chose abdicate to the FDA and other governmental agencies? If the argument is someone could misuse NSAIDs through high doses and/or chronic usage and cause harm to themselves, surely that argument could apply to almost anything. 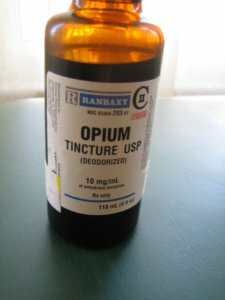 No one is advocating using any substance beyond the limits of its safe application in dosage, frequency, or length of use. We already have the warnings on the packaging that indicate the issues and concerns. What is next to ensure our safety? Will we have consultation rooms in pharmacies and grocery stores where we can prove our knowledge of the drug and intent of use prior to purchasing it? Will I have to pass a test before I can buy my bottle of Advil, Aleve, or Motrin? Perhaps I pass the test and still overuse it-what then? Must I have a monitor to ensure I only take the amount intended and they can safeguard the rest for me until my next headache? If the packaging warning is correct, and the only issue is people might overuse the drug because of overconfidence in its safety, isn’t getting the word out, beyond the box warning, what public safety education is for? Surely we can be trusted to swallow the occasional Motrin, Aleve, or Advil when seeking temporary pain relief. Drug diversion evidence tells us if someone wishes to take any substance they will find a way, despite barriers we devise. If a person chooses to misuse a substance for their own purposes, they will do so. The government can make it harder but making the barriers higher is the primary result. What does occur with overregulation is people who had no intention of, or experience with, misuse will lose a cheap, effective, and easy to obtain temporary pain relief method. At what point do we say stop? All this talk of further regulation is giving me a headache. I’m going to go chew on some willow bark—if that’s still ok.